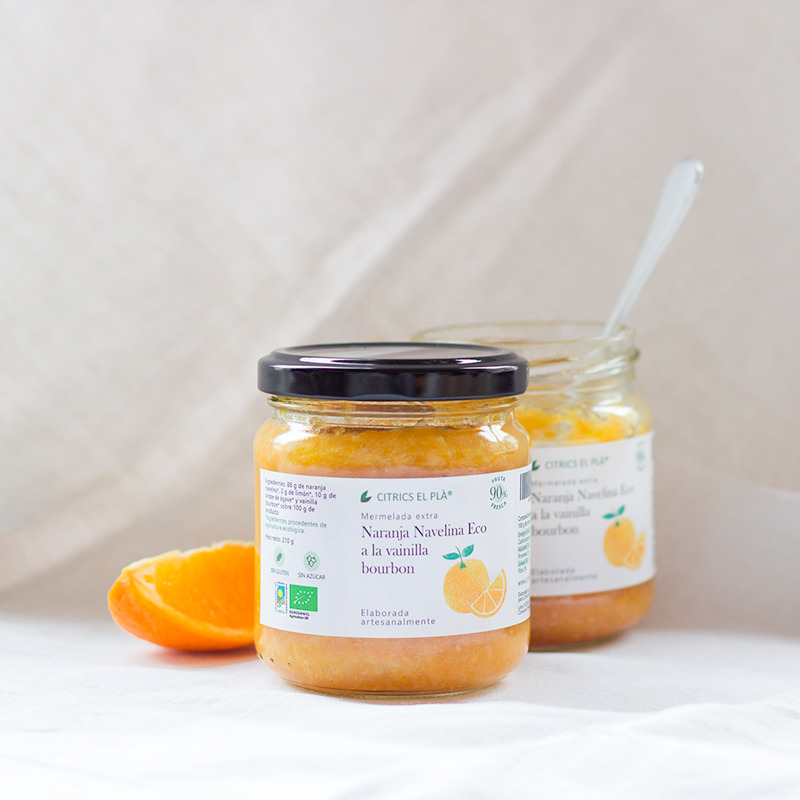 Organic navelina orange extra jam with Agave syrup. 90% Fresh fruit. Sugarfree. Without gluten. Marmalade with intense flavor that leaves no one indifferent. A mix of our navelina oranges, our lemons and finished with a touch of bourbon vanilla. 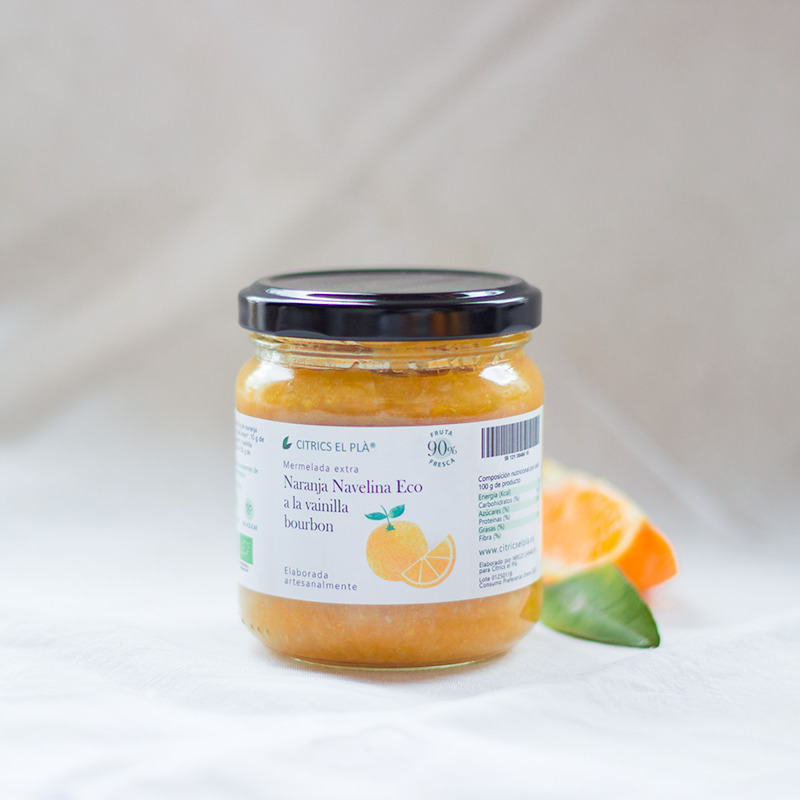 Thus, we achieve a perfect balance between sweet and bitter provided by the skin of this variety of oranges very rich in limonin, a functional ingredient with antioxidant activity that protects us from cholesterol and certain types of diseases. In short, a tasty and healthy way to start the day. Ingredients: 88 g of naveline orange *, 2 g of lemon *, 10 g of agave syrup * and bourbon vanilla * on 100 g of product.